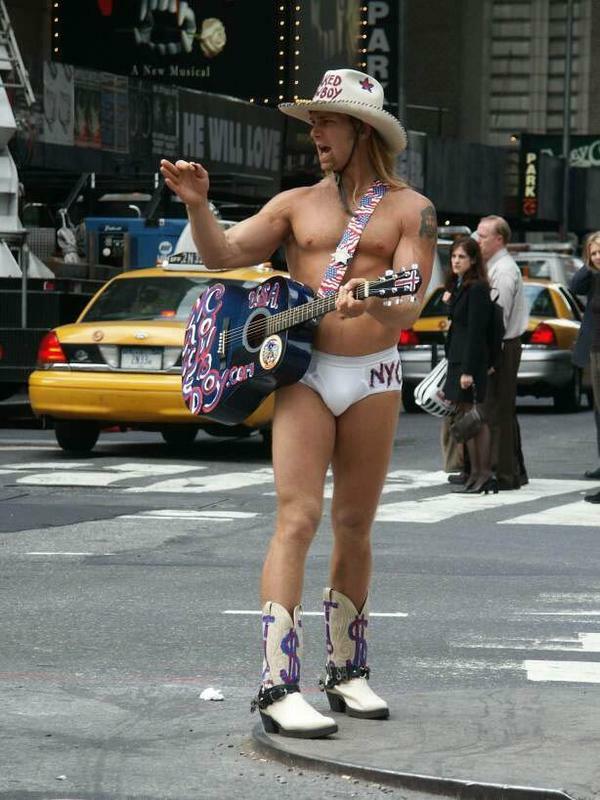 Now before you go all, “WTF?” on me, I am referring to the fact that I just now Facebook “Liked” The Naked Cowboy. Someone put a link to his website on a friend of mine’s status update, and since they are moms and everything I figured it was safe for work, so I went to his website and WOW. Do you know what this guy does? He strips down to his tighty whites every day, goes out to Times Square, and poses with people. 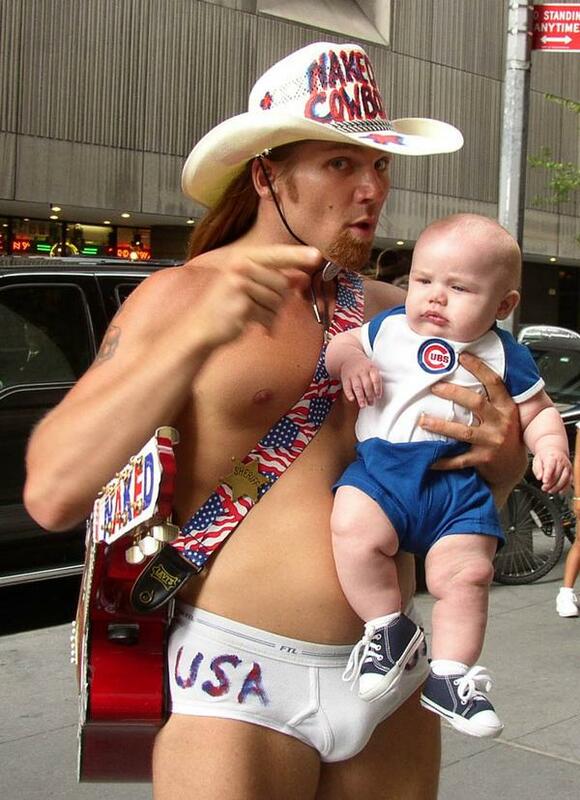 The Naked Cowboy is also available for babysitting. The Naked Cowboy has also written a book, and is available to officiate your wedding. In Times Square. In his underwear. It’s not like I have the hots for the guy. I just admire someone who has the tenacity to put on his skivvies every day and drag himself out to Times Square to delight (er.) and entertain. Here’s to you, Naked Cowboy! Keep on keeping on. This entry was posted in I Saw it on the Interwebs and tagged Facebook, internet stuff, like, naked cowboy, the naked cowboy, whoa. Bookmark the permalink.